This year, Mother’s Day is on Sunday, May 8. With the holiday fast approaching, there’s no better time to shop for the perfect, meaningful gift. Let us help with these finds that will really wow her. We have compiled a curated gift guide filled with beautiful gifts for Mom. Within this collection are a few of our tried-and-true Sundance classics. Shopping for Mom can seem difficult, but a sentimental, classic piece of jewelry is sure to bring a smile on this special day. 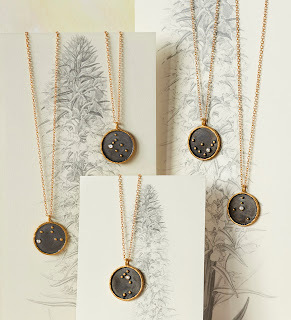 The Zodiac Constellation Necklace is a meaningful gift with an exquisite aesthetic. The face of the necklace depicts an astrological sign constellation, so you can select Mom’s, yours, or both in these sentiment charms. The Lotus Pearl Necklace is a delicate, timeless piece. It’s fashioned with silver and pearl, making it a perfect accessory for any occasion. This Sundance favorite is sure to be a special gift for your Mom. A personalized jewelry case also makes a great gift. The Letter Perfect Jewelry Case is beautifully crafted with leather, and the letter initial design offers a personal touch. 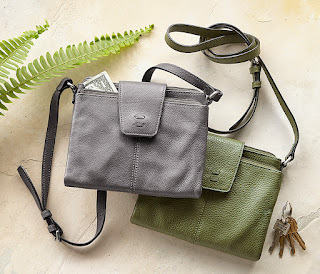 The Alex Crossbody Bag is the stylish and useful bag she needs. Constructed with Ellington leather, this handbag is the definition of versatility. With an adjustable strap, the bag can be worn across the chest providing hands-free style. Its timeless silhouette also contains multiple compartments, pockets, and card slots so Mom can keep all her essentials close at hand. Help your Mom create a lovingly sentimental home by giving her a timeless accent piece to remind her of you. The 365 Gathered Truths is the perfect, heartfelt home accessory. Printed on heirloom quality paper, these notes contain words of wisdom to enlighten, and were thoughtfully composed by great and famous minds. The Blown Glass Hurricanes are a perennial Sundance favorite. The simple elegance of these romantic glass candle holders makes them a striking centerpiece. They can be decorated for any occasion and immediately transform a room. Mother’s Day is about celebrating Mom, making the day special and meaningful for you and your loved ones. Share time together, create memories, and finish the day with the perfect gift to awaken the heart and inspire the soul. For additional gift idea, visit our Gift Guide now to find a great gift for Mom.